I love art, history, music and books! I am a tragic Francophile … always wishing that I was in Paris. I speak French, and have been to Paris a dozen times. I have a music degree in classical piano, and majored in English literature and history for my arts degree. 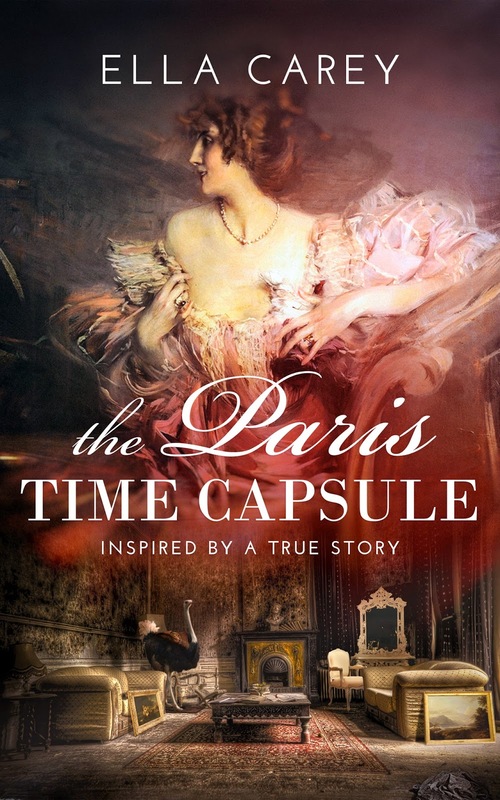 I write women’s fiction, and my novel, ‘The Paris Time Capsule,’ has just been published. Other than that, I love walking with my dogs, two sweet little Italian greyhounds. They are always mistaken for whippets! It’s odd how things come together. I will hear a story about something, or a person will inspire me sometimes. But, often it’s not until later on that I will think about turning these ideas into a story. Things come together, something that struck me as interesting might merge with a character that I had been thinking about, or, there might be an idea that I want to explore, as happened in my story ‘Another Life.’ I was besotted with the true story that inspired ‘The Paris Time Capsule,’ – although, perhaps it was just another excuse to spend more imaginative time in Paris! Ultimately, I think there are several things that kept me going with this novel. I was exploring ideas in which I believed. I was inspired and moved by the true story of the woman who abandoned her apartment in Paris for seventy years. She fled on the eve of the Nazi invasion in 1940, leaving her grandmother’s extraordinary story buried throughout the second half of the twentieth century until it was rediscovered in 2010. But the real question remained unanswered. Why would you never return to Paris? Even after the war? And why would you keep your treasure filled apartment a secret? I believed in my characters, Cat, especially, but I won’t give away which others, as that would spoil the story … although I have empathy for them all. Above all, I was trying to write something that would resonate, something that might inspire readers to think about certain things … and then, I was hopelessly involved with France. The novel is set in various places in that country. I don’t think I could have abandoned this novel. The novel inspired by the fascinating true story and thousands of blogs. A treasure filled apartment in Paris was rediscovered in 2010 after it had been abandoned for seventy years. The owner fled on the eve of the Nazi invasion in 1940. But why did she never return to Paris? Why did she keep her apartment a secret? 2010:New York photographer Cat Jordan has always fought against her past, but when a stranger dies in Paris, Cat finds herself the sole inheritor of an apartment in the ninth arrondissement that has been locked up for seventy years. A stash of love letters belonging to Marthe de Florian, one of the Belle Époque’s most famous demimondaines, and the appearance of the beautiful and mysterious Isabelle de Florian’s grandson leads Cat in search of the reasons why Isabelle kept her Paris apartment a secret until her death, and why she left her entire estate to Cat. There's a surprise giveaway too. Ella has a kindle copy of the book for one lucky commenter. So please leave a comment to win. Labels: Australian author Ella Carey historical/contemporary THE PARIS TIME CAPSULE. I was fascinated by that apartment and all the things in it and was intrigued by the what ifs and where did she go questions. The time capsule element of the place lends itself to a whole host of story ideas. Well done for taking it the step beyond mere speculation. You're welcome to the blog here, Helen. Many thanks indeed for stopping by and leaving a comment. 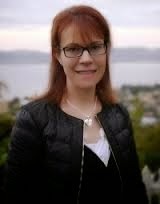 Welcome to the blog Cecila. Many thanks for stopping by. Looks unusual and interesting too. I had read about the abandoned apartment some time ago and thought that there should be a novel about it due and there you have gone and written it. Congratulations. I hope that it does well. Rummuser, you'd like this novel, it's fascinating. This book sounds pretty brilliant from what I've read of it right now. Looks intriguing. I am an engineer who loves to read. This book seems to have it all, fiction, thrill, romance and the time capsule would take it to another level. Looking forward to read it soon. Thanks so much Rummuser. Great to hear from people who read about the apartment in Paris when it was discovered. I do hope you enjoy the novel! Congratulations on the release of The Paris Time Capsule, Ella! Hi Maria... Hi Ella...Congrats on your book release. The Paris Capsule blurb is very intriguing and I love how it is inspired by a real life incident. Wish you all the best!